Library Services aims to provide you with all the resources you need for your studies at BGU. However, we also encourage you to find out about and make the most of what other library and information services have to offer. This can be particularly useful if you are living some distance from BG, or need to access specialist resources. BGU is a member of SCONUL Access, a scheme which allows students and staff to use, and in some cases borrow, from the libraries of other higher education institutions free of charge. If you are interested in taking advantage of the scheme you will need to register initially through our library; find out more and/or register online at www.sconul.ac.uk/sconul-access. 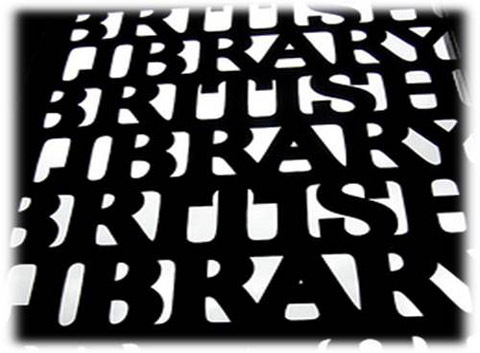 The British Library is the UK's national library and has a collection of over 150 million items. To visit the Library at its sites in St. Pancras (London) or Boston Spa (Yorkshire) you will need to apply for a Reader Pass. We recommend that students join their local public library to take advantage of the range of resources they will have to offer. In particular, you may be able to access electronic resources in addition to those available through our library. To find out about more about Lincolnshire Libraries click here, or check your local council's website for details of facilities in your area. Our library is a member of LISN (pronounced 'listen'), a network of libraries and information providers across Lincolnshire which includes HE and FE institutions, public library services, and specialist libraries at places such as Lincoln Cathedral and RAF College Cranwell. Many member libraries offer open access to LISN members, whilst others can be visited by appointment. Ask at the Service Desk to find out more about LISN. 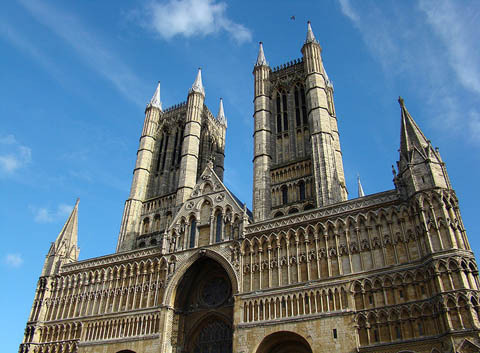 Lincoln Cathedral Library has a large collection of rare books and manuscripts and also a modern reference library. It is also an interesting place to visit! 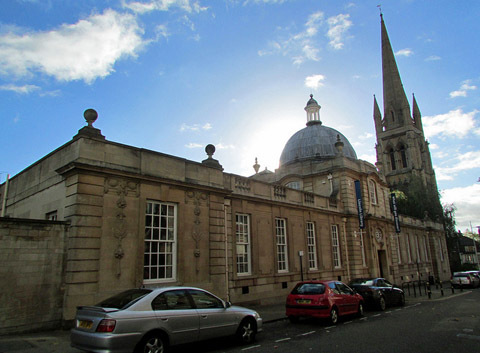 The library is open to the public from April to October but in order to use the books to undertake research you will need to make an appointment. British Library by Kristien Berghs on Flickr under a BY NC 2.0 Creative Commons Licence. Lincoln Cathedral by Anita Gould on Flickr under a CC BY-NC 2.0 Creative Commons Licence. Lincoln Central Library by Reading Tom on Flickr under a CC BY-2.0 Creative Commons Licence.